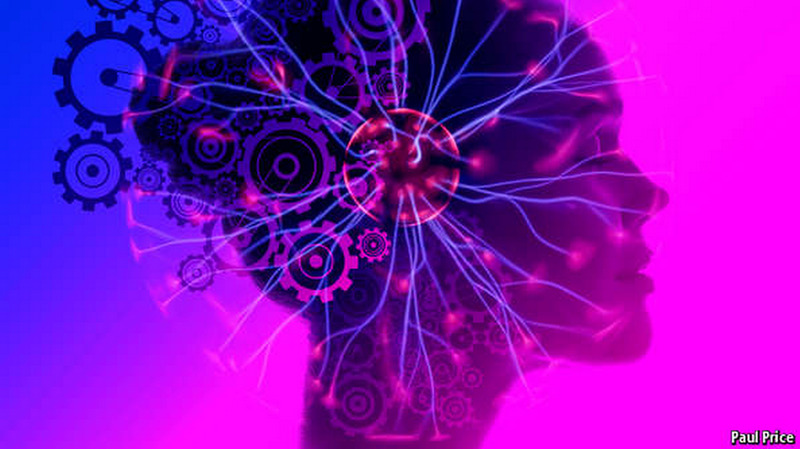 With a DIY bundle of electronics or a ready-made device it is possible to stimulate the brain. But does it work and is it safe? “IT’S like coffee times ten,” raves one enthusiast. “I use it a couple of times a week and problems solve themselves. At the end of the day, I haven’t wasted hours on frivolous websites. At the end of the week, my apartment is clean.” This marvel of productivity is not a new energy drink or an experimental wonder drug but a simple electrical device that he built at home for less than $US10. Whenever this physicist feels like an extra burst of motivation, he places electrodes on his skull and sends a jolt of electricity into his brain. Not everyone using tDCS is seeking to become more efficient in their daily life. Some hope to enhance their concentration for study or video gaming; others want to boost their memory, speed up learning or induce meditative calm. Yet more are trying to self-medicate for conditions such as depression, chronic pain and motor, sensory or neurological disorders. The benefits might sound implausible, but there is some science to support them. The idea goes back a long way. Scribonius Largus, a first-century Roman physician, prescribed the shock of an electric ray for headaches, and in the 19th century electrical pioneers such as Luigi Galvani and Alessandro Volta toyed with crude bioelectric experiments. It was not until the 1960s, however, that the first rigorous studies of electrical brain stimulation took place. 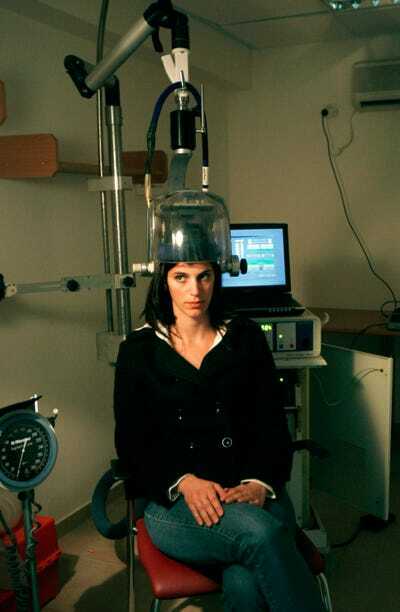 REUTERS/Gil Cohen MagenA hospital worker sits under a wired helmet while demonstrating an experimental treatment for clinical depression at Shalvata Mental Health Care Centre in the central Israeli town of Hod Hasharon December 4, 2006. 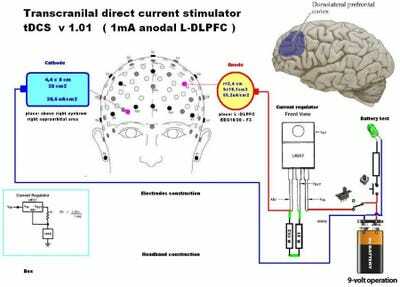 The theory behind tDCS is that a weak direct current alters the electric potential of nerve membranes within the brain. Depending on the direction of the current, it is said to make it easier or more difficult for neurons in a brain circuit to fire. Position the electrodes correctly and choose the right current, so the idea goes, and you can boost or suppress all kinds of things. Some researchers have reported that tDCS can reduce pain, ease depression, treat autism and Parkinson’s disease, control cravings for alcohol and drugs, repair stroke damage, and accelerate recovery from brain injuries, to say nothing of improving memory, reasoning and fluency. Remarkably, some effects seem to persist for days or even months. And the closer that scientists look at tDCS, the more they seem to find. Scientific papers about the technology appear at an ever-faster rate. Hardly surprising, then, that DIY brain hackers want in on the action. 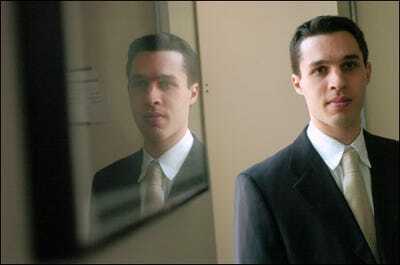 Christopher Zobrist, a 36-year-old entrepreneur based in Vietnam, is one of them. With little vision he has been registered as blind since birth due to an hereditary condition of his optic nerve that has no established medical treatment. Mr Zobrist read a study of a different kind of transcranial stimulation (using alternating current) that had helped some glaucoma patients in Germany recover part of their vision. Despite neither the condition nor the treatment matching his own situation, Mr Zobrist decided to try tDCS in combination with a visual training app on his tablet computer. He quickly noticed improvements in his distance vision and perception of contrast. “After six months, I can see oncoming traffic two to three times farther away than before, which is very helpful when crossing busy streets,” he says. Dissenting voices are rare. Here and there are tales of people who experienced headaches, nausea, confusion or sleeplessness after tDCS, while temporary visual effects and mild skin burns are fairly common. There have been no reports of seizures, serious injuries or deaths. But that does not mean it is without risk, says Peter Reiner, co-founder of the National Core for Neuroethics at the University of British Columbia. He says DIY users may place electrodes incorrectly, thus stimulating the wrong part of their brain, or reverse the polarity of current, potentially impairing the very things they are trying to improve. No one really knows how tDCS interacts with chemical stimulants or recreational drugs like marijuana, or with pre-existing conditions like epilepsy. Even something as fundamental as being left-handed can alter the functional organisation of the brain. And if the benefits of tDCS can persist for weeks, perhaps its side-effects can linger, too. Many neuroscientists are particularly worried that the use of tDCS by children and young adults could affect their long-term neural development. Some of these concerns can be addressed by manufacturing tDCS devices to make it difficult, or impossible, to exceed recommended currents or to apply the electrodes incorrectly. One such product already exists. The Foc.us V2, made by Transcranial, a London company, is advertised as a $US199 pocket-sized controller that pairs with a $US99 headset intended to help with concentration and reaction speed while videogaming. Donning the headset automatically positions the electrodes on the left and right temples, and both the duration and maximum current are capped. A second headset provides a different montage aimed at improving performance and motivation while exercising. In reality, however, there is no guarantee that even slick products are any safer than a pocket-money brain stimulator assembled at home from a 9-volt battery, electrodes, a few wires and other components. Unlike the tDCS machines used for medical trials and clinical research, consumer versions may not have been assessed by any official body for safety or effectiveness. If the maker insists they are for use only by healthy adults to enhance cognition or leisure activities and make no diagnostic or therapeutic claims, such “wellness” devices have slipped under the regulatory radar of both the Medical Devices Directive in Europe and the Food and Drug Administration (FDA) in America. That worries some experts. A recent paper from the Institute for Science and Ethics at the University of Oxford points out that consumer tDCS products are mechanically and functionally equivalent to medical neurostimulation devices that require licensing. Why regulate the version that is likely to be operated responsibly by health professionals, and not the one freely available to unskilled and inexperienced users? The Nuffield Council on Bioethics agrees, recommending in 2013 that the European Commission should consider regulating all such gadgets under its medical devices regime, regardless of the purposes for which they are marketed. The Institute for Science and Ethics proposes a graded regulation system that errs on the side of consumer choice for tDCS devices, requiring comprehensive, objective information about risks and benefits to allow users to make informed decisions. But it wants supplying brain zappers to children to be made illegal. Last year the FDA allowed transcutaneous electrical nerve stimulator (TENS) machines for headache relief as it rated them as low-to moderate-risk devices. TENS devices use a different waveform to tDCS and target cranial nerves rather than the brain itself, but they rely on a similar controller and head-mounted electrodes. Before allowing new TENS products to be sold, the FDA now wants to see evidence that the components are not likely to cause injury, that the controller can reliably provide the correct output, that there are no thermal or mechanical hazards, and that clinical data demonstrate the device is safe and effective as a headache treatment. Recent draft FDA guidelines for wellness devices suggest tDCS machines may eventually be regulated in a similar way. The University of British Columbia’s Dr Reiner doubts that any manufacturer today can provide such information for tDCS. Even if they could, the cost of gathering it would make consumer devices more expensive. 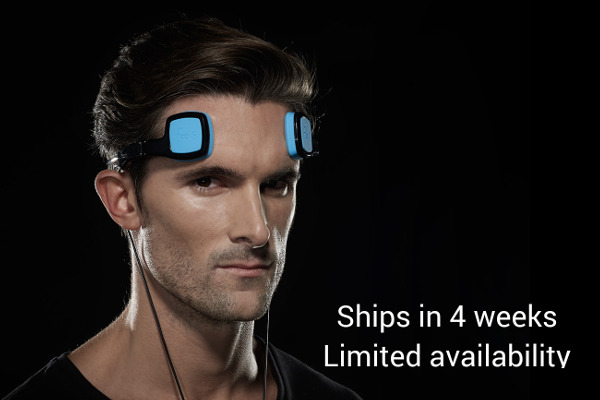 “When you can make a tDCS device yourself for less than $US20, we would advise strongly against heavy regulation because it will only drive the technology underground,” he says. In 2013 Teresa Iuculano and Roi Cohen Kadosh of the Department of Experimental Psychology at the University of Oxford split volunteers up into three groups and asked them to learn a made-up mathematical notation system. 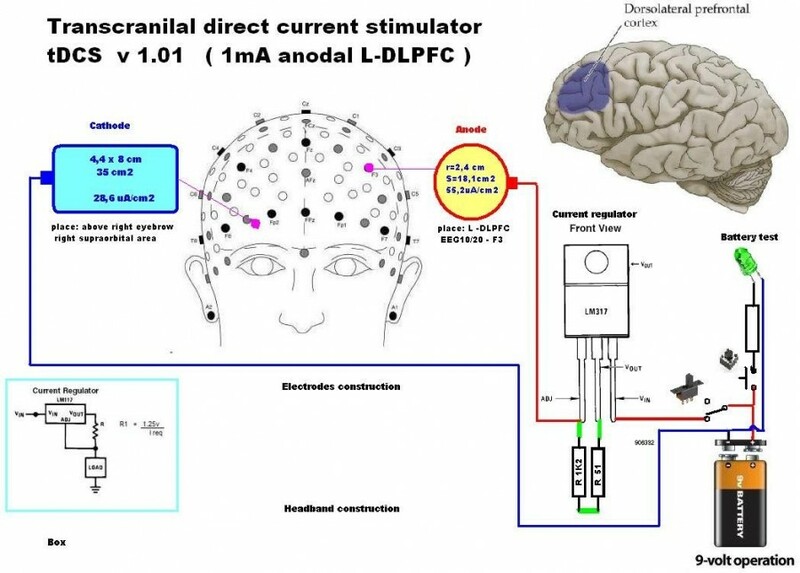 The first two groups received tDCS to different parts of the brain previously associated with numerical understanding and learning, while a non-functional “sham” device was used on the third group as a control. After a week, all three groups were tested on how well they had learned the new notation system, and whether they could use it in practice. The first group showed an improvement in learning compared with the control group, but a decrease in their ability to apply their knowledge, while the second group experienced the opposite result. This suggests that the brain is actually rather well balanced: boost performance in one cognitive realm through stimulation, and aptitude in another will naturally diminish. There is also the possibility that a variation in individual responses to tDCS will overshadow any general effects. In a study published last year, Dr Cohen Kadosh set up two groups: one of people who were anxious when presented with mathematical problems, and another who had confidence in their ability to breeze through numerical quizzes. When treated with tDCS to their prefrontal cortices, the nervous individuals improved their reaction time on simple arithmetical problems and showed reduced levels of stress. One advantage of the deluge of scientific papers is that they can be subjected to meta-analysis, whereby studies can be statistically combined to tease out new discoveries. Last year, Jared Horvath, a neuroscientist at the University of Melbourne in Australia, published a meta-analysis of 30 measurements taken during tDCS studies, including neural responses, oxygen levels and electrical activity in the brain. Surprisingly, he found that tDCS had a reliable effect on only one: the electrical response of muscles to stimulus, and even that has steadily declined in studies over the last 14 years. Mr Horvath believes this indicates that the response has historically been measured poorly and that it too will eventually disappear as techniques mature. Equally troublesome is a meta-analysis of the cognitive and behavioural effects on healthy adults that Mr Horvath subsequently carried out. As before, he included only the most reliable studies: those with a sham control group and replicated by other researchers. It left 200 studies claiming to have discovered beneficial effects on over 100 activities such as problem solving, learning, mental arithmetic, working memory and motor tasks. After his meta-analysis, however, tDCS was found to have had no significant effect on any of them. 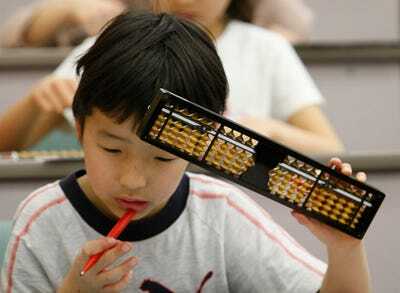 REUTERS/Issei Kato (JAPAN)An elementary school boy holds a Japanese traditional calculating tool called the soroban (abacus) during a soroban competition in English, in Tokyo March 1, 2008. Another problem might be the small sample size, sometimes as few as ten or 15 people. Mr Horvath says future studies should use at least 150 subjects. There is, of course, the possibility that Mr Horvath’s analyses are flawed. His paper included only one-off sessions, while many scientists believe the effects of tDCS accumulate with repetition. However, too few multiple-session studies exist for a valid meta-analysis. Dr Cohen Kadosh points out that individual variations could make the technology look as though it is doing nothing when in fact it has real but opposing effects in different people. Mr Horvath insists that his analysis allows for this possibility. Not all neuroscientists are defending the status quo. “I’m not surprised that he found no effect from conventionally applied tDCS,” says Jamie Tyler, a professor at Arizona State University and one of the founders of Thync, a Silicon Valley startup that recently unveiled a smartphone-controlled tDCS device. 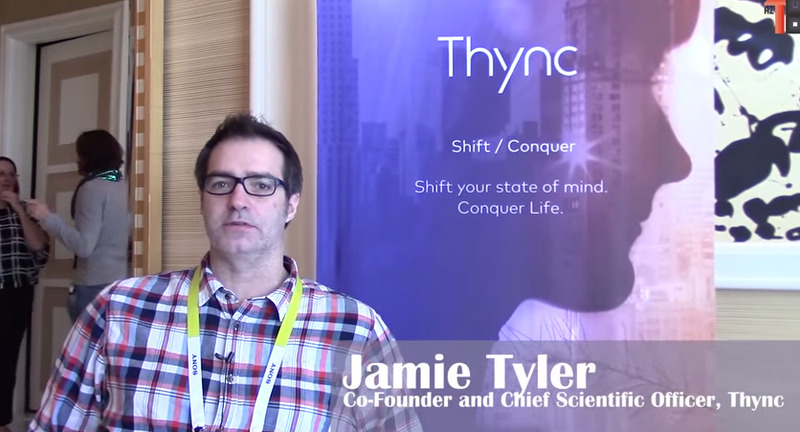 Thync tried to replicate some basic tDCS findings on cognition but could not do so. Dr Tyler now believes that tDCS may not directly stimulate the brain at all but instead modulates cranial nerves in the skull, like the headache-busting TENS technology. He designed the Thync device, a pocket-sized unit with disposable pre-shaped electrodes, to target these nerves with the aim of generating either relaxed or energetic mental states. Dr Tyler recently published a study of 82 people with a control. 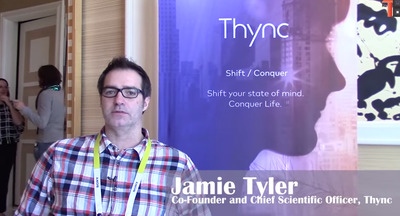 Its results suggest that Thync’s device can reduce psychophysiological stress by altering skin conductivity (a measure used in pseudoscientific lie detectors), stress enzymes and heart rate variability. He likens Thync’s “modified tDCS” programs to ingesting either a third of a cup of coffee or a glass of wine, and says no effect has been found on cognitive processes like working memory. While Thync’s stimulator is not yet available to the public, the firm was willing to give your correspondent a pre-launch trial. The Thync device attaches with one sticky electrode on the right temple and one behind the right ear. The unit is controlled via a smartphone app, with the user able to adjust the intensity but not the duration of the session. At first, the unit generated a barely perceptible crawling feeling on the skin near the electrodes, building gradually to a pronounced tingling sensation. Over the 20-minute session, the strength of the signal varied up and down according to a preset routine. It felt itchy at times and, at its most powerful, caused muscles in the forehead to spasm alarmingly. Although the experience was not altogether unpleasant, any extra energy or focus proved, alas, elusive. Dr Tyler acknowledged that perhaps one in four people do not perceive any immediate benefit from the device. Regardless of their questionable utility and effectiveness, tDCS gadgets are too novel, cheap and alluring to simply dismiss. Consumer-wellness devices like Thync may appeal to those who cannot use caffeine or alcohol for medical or religious reasons, and there will always be healthy overachievers seeking to supercharge their cognition for study or work.